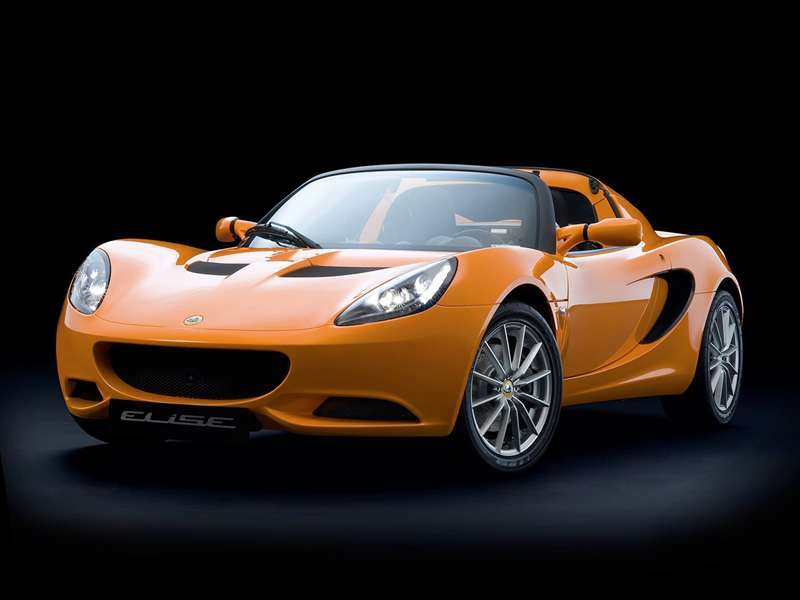 The 2011 Lotus Elise is a 2-door, 2-seat Convertible, available in 3 trims, ranging from the R to the SC Roger Becker Edition. Upon introduction, the $51,845 R is equipped with a standard 1.8L, 4-cylinder, engine that achieves 21-mpg in the city and 27-mpg on the highway. a Manual transmission is standard. The $57,950 SC Roger Becker Edition is equipped with a standard 1.8L, 4-cylinder, engine that achieves 20-mpg in the city and 26-mpg on the highway. a Manual transmission is standard. One thing becomes apparent while browsing Autobytel’s collection of Lotus pictures: Lotus cars are quite small. And that’s all the better for racing. Lotus is known for designing sports cars that feature superior handling characteristics and light weight. Based on the Lotus picture gallery, it’s easy to tell these cars are fast – they simply have that telltale look. Lotus got its start in North London in 1952 (lending a hint as to why the signature British Racing Green finish is a common sighing in Lotus photos). By 1980, Lotus was still building and selling the same car models with which it got its start, without any refreshes or redesigns, so for several decades, these race cars all looked identical. The Lotus images gallery will show some growth based on some new model releases in the early 1980s, although they didn’t help the company much financially. Today, Lotus is best known for curvaceous, contemporary models such as the Elise, Exige, and Evora. These modern sports cars, though, are still clearly derived from earlier generations of Lotus, such as the angular silhouettes of the Esprit and Europa. When you’re browsing through Autobytel’s gallery of Lotus images, look for aesthetic cues shared by other notable cars from manufacturers that had engineering and design relationships with Lotus. Both the Toyota Supra and the DeLorean DMC-12 benefitted from the expertise of Lotus’ engineering team, and the silhouettes of those two models exhibited some stylistic similarities to Lotus cars shown in Autobytel’s photos.